HORSE FIRST was founded in 2008 by Paddy Hughes, a well-known and respected horse producer in the show jumping and eventing spheres, who has sent horses all over the world. Having tried and tested a huge variety of equine dietary supplements during his thirty years in the horse business Paddy felt that the products that were available were disappointing and left a lot to be desired. 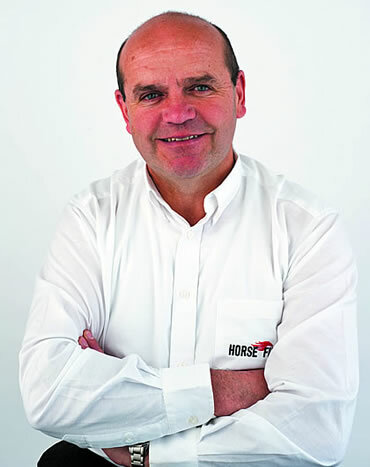 With Paddy's equestrian knowledge and the expertise of the best chemist and equine-related nutritionist that he could find, HORSE FIRST was formed. Today top riders such as Michael Whitaker, Ludger Beerbaum, Jessica Kurten and William Fox Pitt are all active users of HORSE FIRST products. HORSE FIRST currently exports in thirty countries worldwide in order for horse owners to always put their HORSE FIRST. More recently HORSE FIRST won the hotly contested "Exporter of the Year Award" sponsored by InvestNI at the Greater Newry Business Awards. 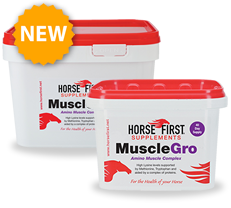 HORSE FIRST product range includes Relax Me which is used to settle nerves, Hoof First which promotes stronger hooves, B Well which is used to rebalance the digestive system and many more. Paddy's aim has always been the same since day one: to use only the highest quality ingredients available and to offer the horse owner a range of products with the highest levels of active-ingredient inclusion of any supplement on the market. The HORSE FIRST brand is known as the supplement range that works. "Made by Horse People for Horse people"